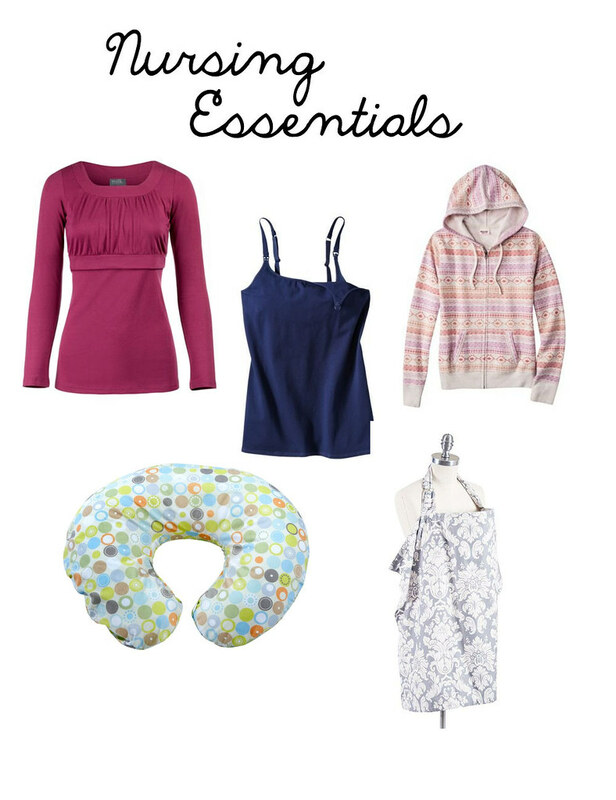 Of course every mom will have different requirements for their nursing wardrobe. I personally TRY to stay modest as best I can (it's a LOT harder to do when you're nursing). And I prefer to keep my stretch-mark-riddled belly to myself, thankyouverymuch. Here are some items that I have found useful so far in my nursing experience. I basically lived in nursing tanks. They were so comfortable as my body adjusted to feeding another human being. Nursing tanks do NOT provide very much support, so I made sure to wear a thick hoodie on top. Otherwise I would leak through. How embarrassing. My favorite tanks were from Target and Bravado. During these first few months, when Helen was feeding for an hour (or more!) at a time, I had to have my Boppy. I picked one up second-hand for a couple dollars. 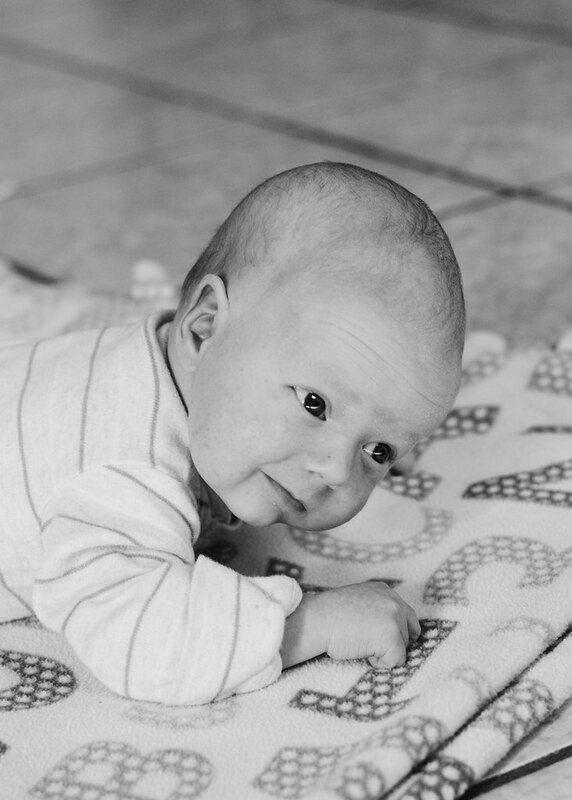 Now that Helen is older (and a faster nurser) I basically never use it, but it was a life saver at first. And I used it to make tummy-time a little more enjoyable for her (see this video). I couldn't have lived without a nursing cover. My mom picked one up for me second-hand, but there are lots of cute styles online. Some moms can get by with just a blanket, but Helen is an active nurser and there have been many times I'm happy the cover is hooked over my neck. During this time I was still trying to figure out what worked for me. I tried the whole lift your shirt up from the bottom, pull down your cami thing and it drove me CRAZY. My shirt would stick to the cami and I got really frustrated as I tried to get ready for nursing and stay modest while holding a squirming, desperate baby. Not fun. Then I discovered the cami + v-neck method. If you wear a camisole with stretchy straps you can easily pull is down and the v-neck aside for quick and easy access. However, this method is not the most discreet. You definitely need to wear a nursing cover if you're concerned about keeping covered. Around this time I purchased my first actual nursing shirt. I fell in love and wore it all the time. If I could afford it, I would buy all nursing shirts. They are so easy to nurse in and are quite discreet. I haven't been brave enough to do it, but it would be possible to nurse without a cover with one of these shirts. I really like THIS brand (I'm too embarrassed to say their name on my blog) and Milk Nursingwear. As far as undergarments go, I really like this kind from Target. I had heard that the underwire variety could make you get clogged milk ducts, so I bought several garments that were wire free. I hated all of them. They still had some sort of poky plastic for shaping and it always dug into me. Underwire is just more comfortable for me. I bought a couple of nursing shirts from a company that is now out of business. They were cheap, but so not worth it. They were the "lift the hem" access type and they drove me batty. I also tried the Undercover Mama tank. 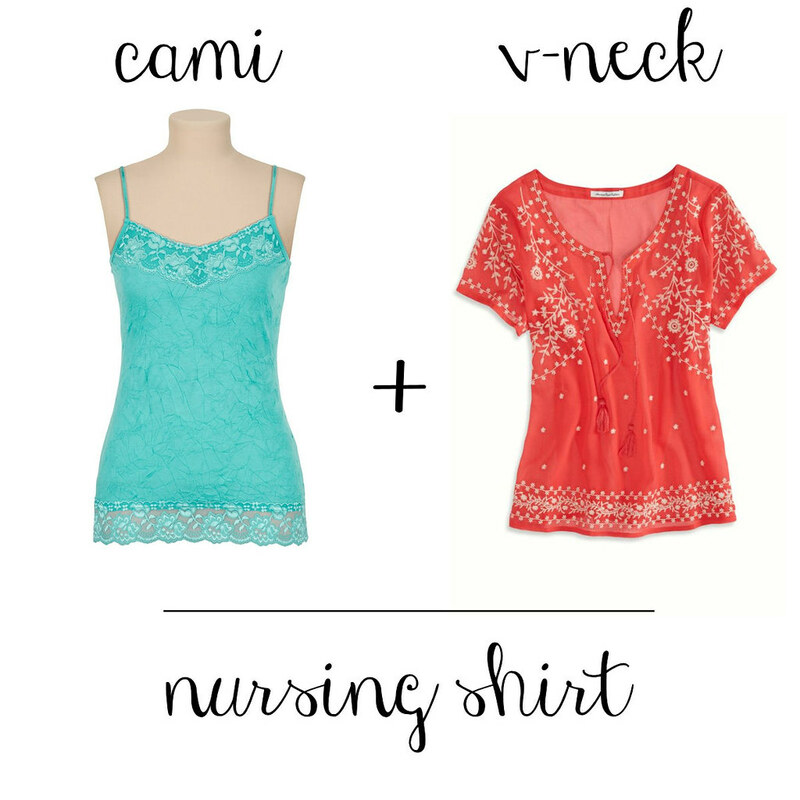 It sounds nice: turn any shirt into a nursing shirt! My problem was that it was too low for my modesty comfort and it's made from cotton which sticks to everything. When I tried to lift up my outer shirt, it just stuck to the fabric and the tank came up with it, exposing my postpartum (jiggly) belly. So those are the things that have worked/not worked for me. For all you veteran moms out there: What worked well for you? I actually have always liked just pulling up whatever shirt I'm wearing, partly because wearing an extra layer would bother me (and it didn't seem like nursing tanks had high enough of a neckline - but I know you care about that too, so I may have to try them!) and because button ups were a huge pain and I felt like they exposed MORE. It was easier to cover below than above with the nursing cover. I do want to try a different kind of cover, perhaps a huge knit scarf or yard of knit fabric with a slit cut in the middle for the head. It looks more comfortable and covers all the way around - your back and tummy included. It would be lovely to try an actual nursing top! I have several simple cotton covers handmade by friends - one happens to be almost twice as big as the others so I use that one. All have the tubing at the neck to create a window to see baby, but I can never get those to stand out and work well for me. I haven't used a cover for almost a year, as my two year old pretty much only nurses at home now, but when little brother is born any day now, I may be experimenting with other kinds! Those don't cover your back so I usually did it in an armchair if possible or just against a wall - not ideal. A friend has the one made from a piece of jersey and that covers your back since it's like a poncho. My favorite nursing top was one I devised myself, with a deep v-neck t-shirt and cheap, stretchy ribbed tank tops from Old Navy and Target. I cut the tank top a few inches below the bra line. Then, it was easy to lift up the tank, pull aside the v-neck a bit and nurse discreetly. I usually matched the t-shirt and tank (both black, for example), which made the fact that I was nursing even less noticeable. The chopped tank top also worked for nursing in v-neck dresses! Wow, that's really smart! I'll have to be on the lookout for a cheap tank-top and give it a try. I'm all for less layers, especially in the summer! Somehow the pictures aren't working. I did the "shirt up, cami down" thing for a while. But I usually don't have to nurse in public. Also, I don't mind nursing in front of other women, even if I do show a little skin before my daughter latches on; and usually, if I am out of the house and need to nurse, it's just with other ladies. My church even has a room specifically for moms with infants, where we can feed them and still hear the sermon. I've never used a nursing cover. My shirt usually covers my breast, the baby covers my stomach, and if I am in a chair that covers up my back! I bet you could do it too! I am a modest person, but perhaps not quite as concerned about it while nursing? My sister uses regular undergarments - I've tried it a bit and it definitely works, but I like my nursing ones pretty well and I think I'll stick with them until Helen can go longer between feedings. :) I'm looking forward to going back to my regular ones, though! Yes, I don't mind nursing in front of other women so much (as long as I know they are sympathetic to the nursing cause), but I'm usually in mixed company when I go out and I'm just not comfortable nursing in front of a guy without a cover. I think that once I get the hang of it I'll be able to go without the cover more often, but I'm still not very agile at staying covered.